Ewoks were never meant to exist. The Return of the Jedi was suppose to have an epic Wookie battle but the movie was far over budget, and large Wookie costumes are pricey. Cutting costs meant cutting the Wookie down to size, and thus was born the Ewok. It always seemed a bit weird that a group of Care Bears was able to defeat the Empire. 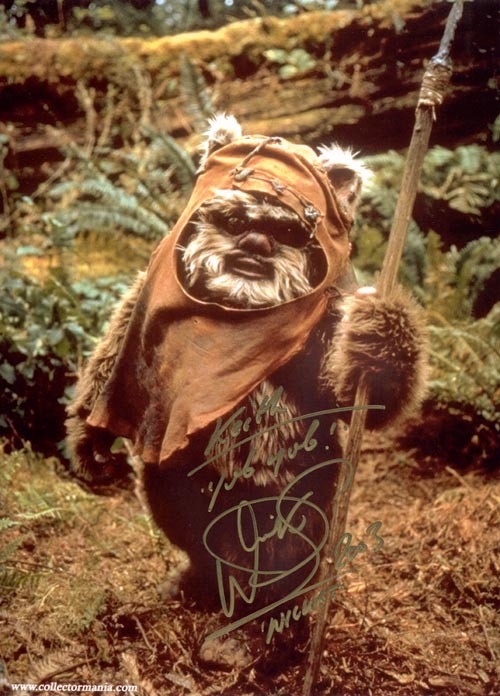 Even their name is tongue in cheek; Ewok is simply a word jumble of Wookie, but is slightly shorter in length. 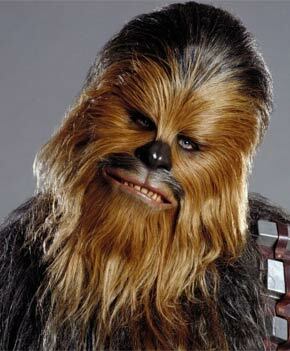 The original script called for a planet of Wookies, and Chewbacca reuniting with his kin. Budgeting for dozens of Wookie costumes was too tall an order, so Ewoks were invented to save money. Budget constraints in the original Star Wars series led to a number of creative and cherished solutions. 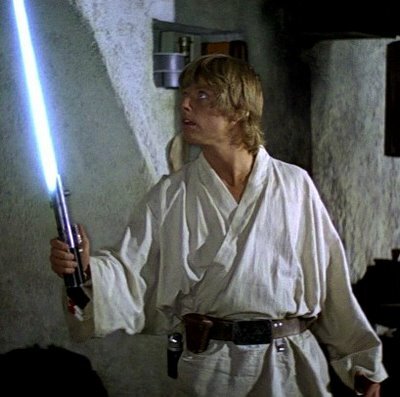 Luke Skywalker’s light saber was originally colored blue, but it was hard to distinguish from the blue background of Tatooine’s sky. The result? 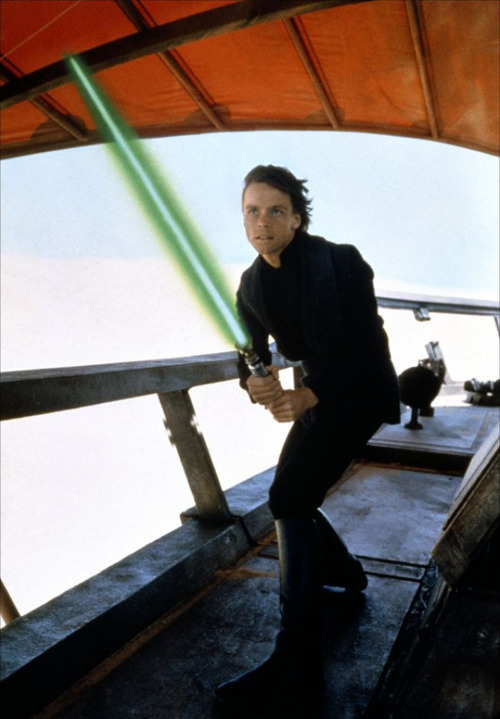 Luke is now known for his green lightsaber, not the blue one he was scripted to have. 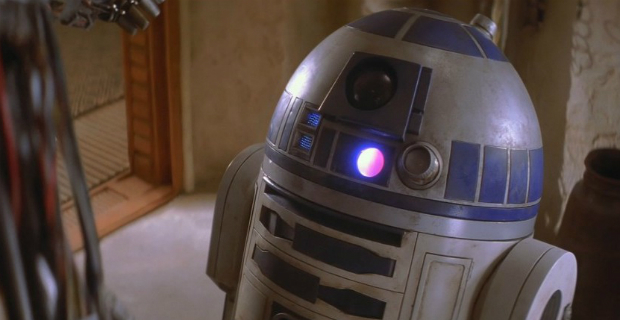 Perhaps the biggest secret about Star Wars is that according to George Lucas the entire story is told by R2D2 to the Keeper of the Whills one hundred years after the events being recounted. “A long time ago in a galaxy far, far away” isn’t referring to the events being far away from us or long ago from our time – it is R2 beginning to recite a tale from his past to the Keeper of the Whills. No wonder it all starts with a Princess giving a message to R2; afterall, it is his story.